Hello! Apologies for the lack of blogging this month – it’s been manic! My birthday earlier this month and striving to finish my novella before National Novel Writing Month begins. I did it, the first draft anyway and I’ll return to it in November. More on that in a bit. This project has hit 24,300 words. I was hoping to get a bit closer to 25,000 but there may be a little bit more to come in the redrafting process. Either way, I need to think a little more on my ending. I’ve got a few people to read it for me though, so hopefully they’ll give me some valuable feedback. Well, it’s not over yet. There is still so much more to do in terms of editing and redrafting and me spending countless hours analysing and obsessing over every, little, word. If you’re a writer yourself, chances are you know what I’ve got coming up. I’ve been there before and I’m not looking forward to it but the novella is good (or it will be), the idea is very good and I can’t stop now. This is far out of my comfort zone. There’s no fantasy, science fiction or horror in this story and those are the genres I usually write in. This is set in the here and now and explores mind-sets, attitudes and the lifestyles we live in, or have lived in. I’ve spoken to a lot of people to create a scenario and protagonist that people can relate to, on at least some level. There are even some of my thoughts and experiences in there but it’s not purely about me – even though people will think this is about me on a deeper level. I’ll cross that bridge when I come to it. It shouldn’t have taken me this long to get to this stage but I’ve been lacking motivation this year. I have been able to write when it counts though and that’s promising. If I can keep this up, I might finally start to feel like the writer I was before and during uni – only (hopefully) a lot better. 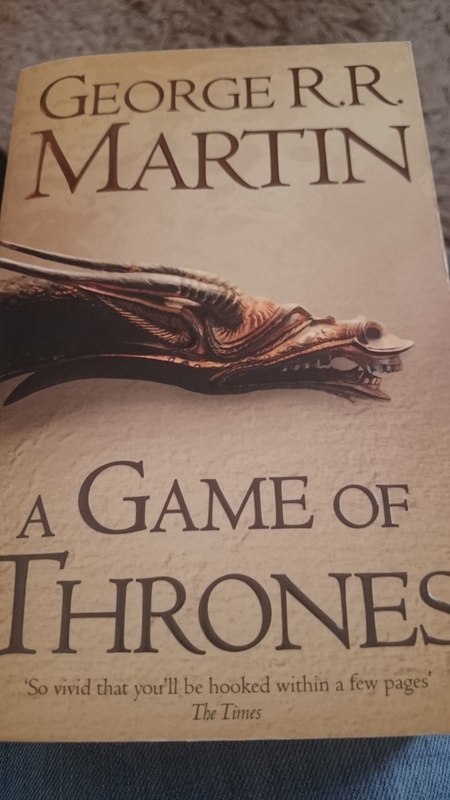 Or, as people seem more familiar with, A Game of Thrones – a series I’ve heard so much about, both in book and television form, and yet I’ve not actually read or seen them. This shocks a lot of people as it seems right up my alley. They’re probably right, too. 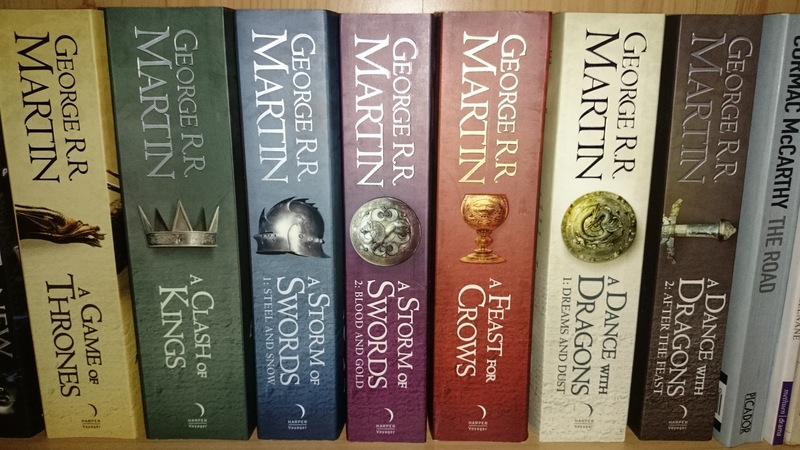 I don’t want to watch the TV show until I’ve read the books, even if it’s in stages and my reading list is HUGE. However, for my birthday this month, I did get the three most recent so now I have all seven books published. Expect me to talk about these in 2015 – they’re big books but I can read fast if I get really into them, as is the case with anything. Have you been keeping up with my plans for the year? If so then you know that November is NaNoWriMo and, once again, I’m going to give it a shot. I’ve succeeded only once in completing this madness of a writing challenge but I’m hoping that this will be the second success. It means that I’ll be writing every day and my target is 2,000 words a day. It might not sound a lot but it will be very taxing, especially working full-time! I must be mad to do this but, hey, what’s new? For the next month, you’ll get a NaNo update each week, letting you know how I’m getting on. It’s also for my benefit so I can see where I’m doing well and where I’m failing. It’s going to be a fun month, keep checking back!